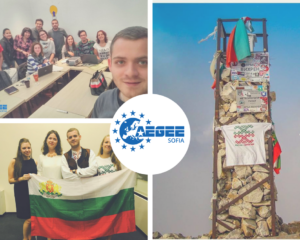 AEGEE Sofia has been chosen as ACTive Local of the Month, because during August they organised an Erasmus+ Youth Exchange, and a SU that matters in collaboration with the Civic Education Working Group. We interviewed Elitsa Hadzhieva, president of AEGEE Sofia to know more about those wonderful activities and the local. ACT: Which emotions did you have when you knew that AEGEE-Sofia was chosen as ACTive local of August? 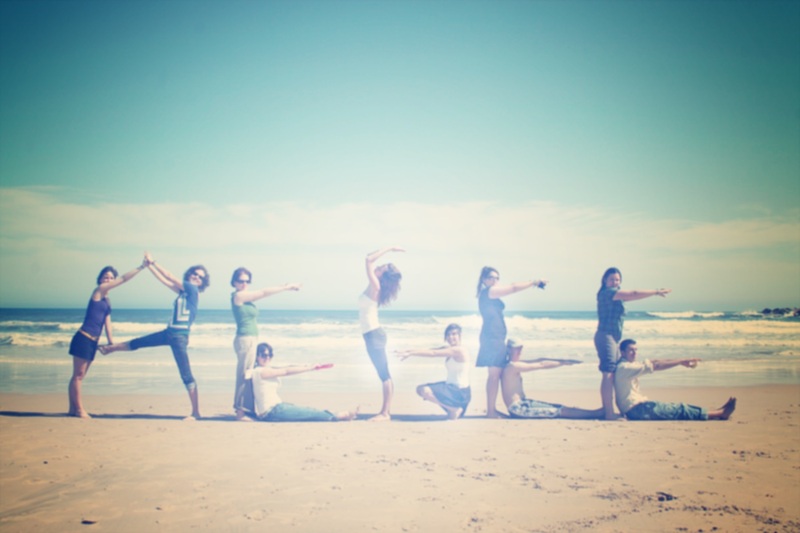 Why did you decide to organise this activity? We wanted to organise our own Erasmus+ exchange for some time and basically driven by the motivation of one of our members – Ivaylo Bogomilov, we decided to try with the deadline for project proposals in February and luckily it got approved. It was a project that his previous board wrote two years ago but then it was put on the waiting list and we improved it a little bit and applied again. About the Summer University, I have to say that we were very hooked up by the idea of making a SU that matters and from the start when we saw the booklets from SUCT about possible cooperations with some of the AEGEE bodies, we started thinking about doing something more special this summer. And we chose the topic and contacted the Civic Education Working Group because civic education has been a very hot topic in Bulgaria for the last few years. 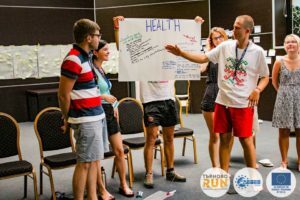 We as a local in Bulgaria feel that it’s a really important issue and of course we should get involved as much as possible, and also our board was very keen on the idea. After we decided the topic and that we would do it with CEWG we were like “Maybe we should make it a summer course+”. So, we took the challenge. We decide to have a meaningful topic, our SU to be an SC+ and at the same time to be a travelling one. It was a big challenge, but it was worth it. What was the result of your activity? We had 50 participants from eight different countries in our Erasmus+ project, which is a big challenge because there are tons of different bureaucratic things you have to do. The topic was about healthy lifestyle and youth empowerment and I have to say that three months after the project our participants are still sharing their experience, like how they challenge themselves, what kind of events they participate to because they were motivated to do so after our project, etc. During our SU we had 25 participants and we did more than 20 workshops about civic education, active participation, European citizenship, politics and policy-making and about Structured Dialogue, which is my personal favourite, about how young people can get active in policy making on a national and European level. Also, we received feedback from some of our participants that have been active in AEGEE for the past few years, they said most of the workshops had very good content, diverse and different from what they had seen until then and they marked it as something positive. How do you inform your members about the Action Agenda/Strategic Plan? We mainly use our LTCs as informative mediums, where we are telling our members what it is. We are planning to get better at this in the future. Do you have any other activities related to the Action Agenda/Strategic Plan? We will have a project about social inclusion of young people from marginalised groups. And also we have some ideas for organising some training sessions/workshops connected with the four focus areas for students and pupils (that are 17/18 years old). Why should other locals organise activities related to the Action Agenda/Strategic Plan? It’s easier to organise an event when you know that you have four focus areas and some guidelines with them that can help you with coming up with an idea that you would like to put into practice. Also, as cheesy as it may sound, it’s always better to have in mind the bigger picture of the whole network when you organise or execute a project. Do you have any tips for organising thematic activities? People, just make our network great again! Joke aside, if you think that thematic activities are what your antenna or what you members need – do not hesitate to organise something. Also, the feeling of what you have accomplished can motivate your board and your members to do more and more activities not only related to the Action Agenda. Can you tell us a bit more about your local? AEGEE-Sofia is not a big local, but it is like a family for most of its members. The antenna was established at the beginning of the 90s. In 1992 the local became part of the Network of AEGEE-Europe and ever since that moment, the number of members varies between 15 and 50 people. This mostly depends on the time of the year. 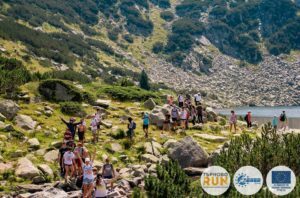 Usually, the peak period in the past when most of the members were extremely active was just before the Summer Universities started. We have around five-six active members. Nevertheless, this year we managed to overcome a lot of challenges and we organised a few big events despite the lack of active people but in that way, we had the chance to work with some of the older members who were active two years ago and were our biggest help this year.